"freu dich, trau dich" by Kelly O'Brien (2014). Mixed media print on paper, 70 x 50 cm. Freu dich, trau dich is a mixed media print, part of the Postcards from the Edge: Taunus series. Frankfurt is surrounded by small towns within a short drive of the city. The contrast between Frankfurt's post-war architecture and the undamaged, well-preserved medieval structures in the Taunus is a stark reminder of Germany's past – recent and distant. Bad Camberg is one such village full of cobbled streets and charming squares. I regret not noting the name of the artist who sculpted this beguiling bronze goat. Does the awning behind her say “freu dich,” “trau dich” or both? Freu dich means rejoice. Trau dich has several meanings, including trust yourself. Either way, I like that you can rejoice in trusting yourself. 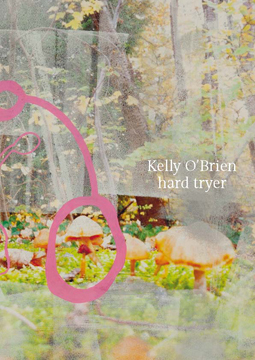 "Leave Breadcrumbs" by Kelly O'Brien (2014). Mixed media print on paper, 70 x 50 cm. There's a story behind many of the pieces that I make. During the month of February while new work for my solo exhibition hangs at Galerie Uhn, I'll be sharing brief backstories about the work in a series of blog posts. The stories are all from a series of mixed media prints, Postcards from the Taunus. The Taunus is the region where I live, just outside of Frankfurt. The first set of Postcards were from Scotland. I was on an artist retreat to loosen up my work, take risks, and experiment with new techniques. Postcard series made during Women's Studio Workshop Printing on the Edge retreat at Rua Reidh Lighthouse in northwestern Scotland. 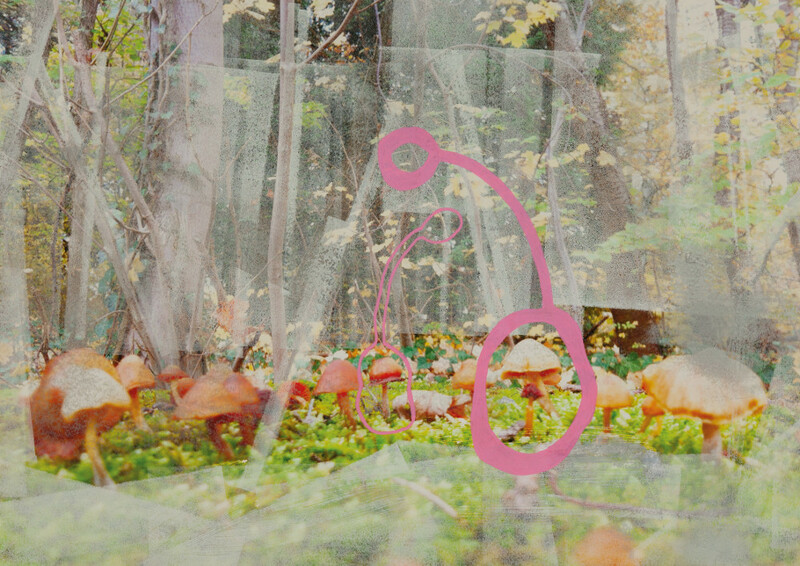 Trace monoprint, chine colle and monoprint on color photograph. Printmaking can be full of surprises, perfect for these goals. Thus, the Postcards were born, and seem to be taking on a life of their own. They're becoming a way to document not only where I travel, but also particular moments, relationships, and identity. 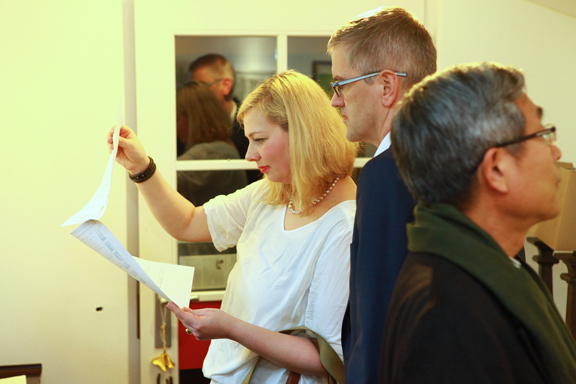 Last night's Opening for Hard Tryer at Galerie Uhn was wunderschön! 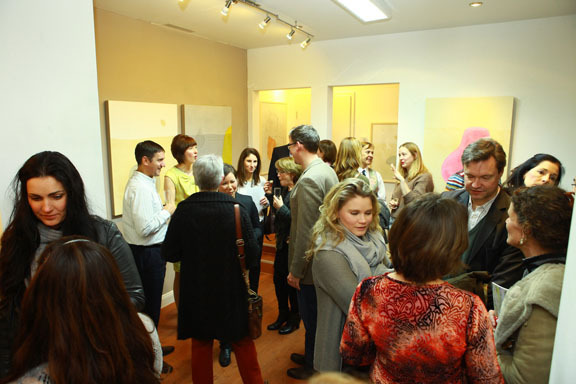 I was feeling the love as friends, new acquaintances and gallery patrons gathered to help celebrate. 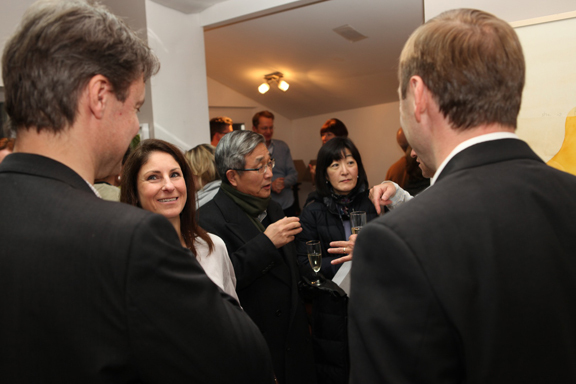 Gallery owner Jimin Leyrer did a wonderful job installing the work and rolling out the red carpet, treating us to her special Chinese New Year's rice cakes as we also toasted The Year of the Horse. It means a lot to me that everyone who came made the time and effort to travel to Königstein, several navigating train schedules and the autobahn. As I was navigating my own limited German in a short talk, it struck me how people's mere presence was testament to exactly what Hard Tryer is about: putting ourselves out there to connect, even when it takes some effort or in the face of unknown results. Last night showed me that the results are indeed good. All images above by the lovely Julia Schwager, unless otherwise noted. 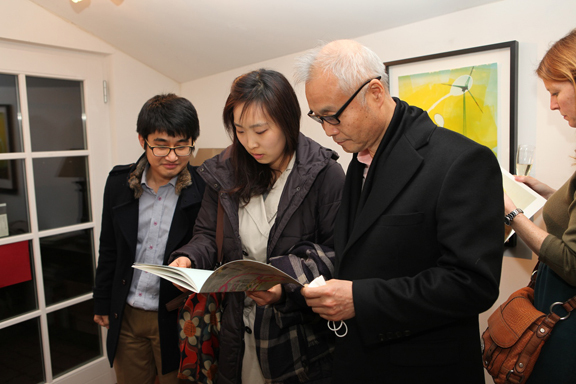 The exhibition runs through the end of February. Details below. 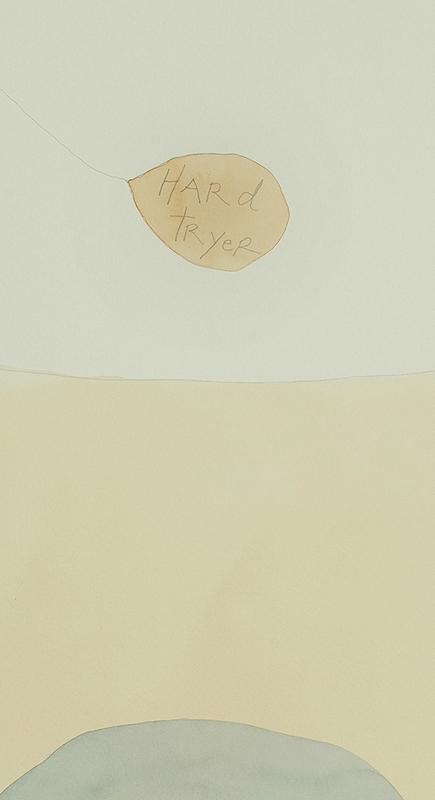 Hard Tryer at Galerie Uhn opens tonight! "Small World" by Kelly O'Brien (2014). Mixed media print on paper, 50 x 70 cm. My Hard Tryer solo exhibition at Galerie Uhn opens this evening at 19:00. 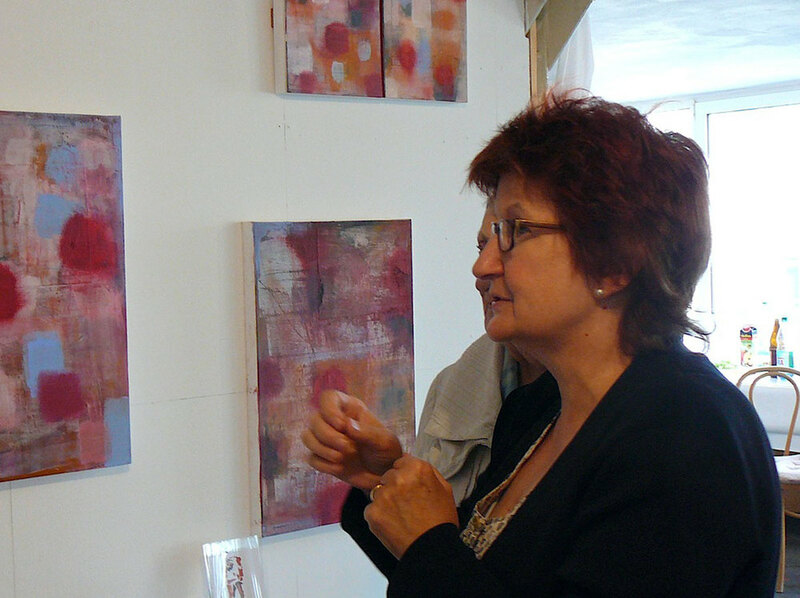 If you can stop by for a visit, I'd love to share the work with you personally. The exhibition runs through the end of February. If you have a small group of friends and would like to have a private tour, please let me or gallery owner Jimin Leyrer know. There will be an exhibition catalog available for purchase, or as a gift when original art is purchased. Throughout the month of February I'll be sharing short background stories about some of the work in the exhibition, including Postcards from the Edge: Taunus, through regular blog posts. Gallery Uhn details and opening hours, below. I hope to see you on Friday! "Hard Tryer" (detail). Watercolor, coffee, pencil on paper, 80 x 60 cm. Happy New Year from the studio! I'll be starting 2014 off with my first solo exhibition in Germany. 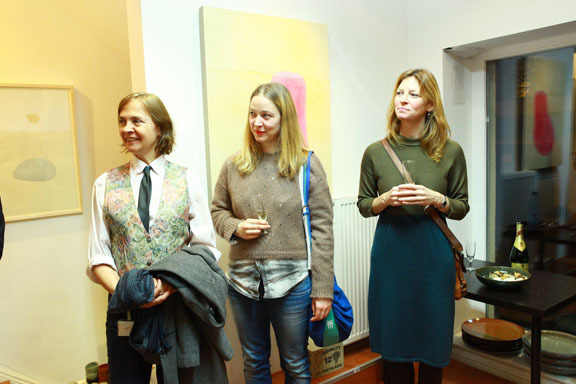 It will be at Galerie Uhn from January 31 to February 28, right here in Königstein. I'm thrilled to have this opportunity and am hard at work preparing for the show. "Hard Tryer" (detail), watercolor, coffee and pencil on paper, 80 x 60 cm. The exhibition will be centered around my Hard Tryer body of work, including brand new large-format watercolors and mixed media Postcards from the Edge: Taunus. The opening reception is Friday, January 31 at 7:00 pm. "Small World" (2014). Mixed media print on paper, 50 x 70 cm. 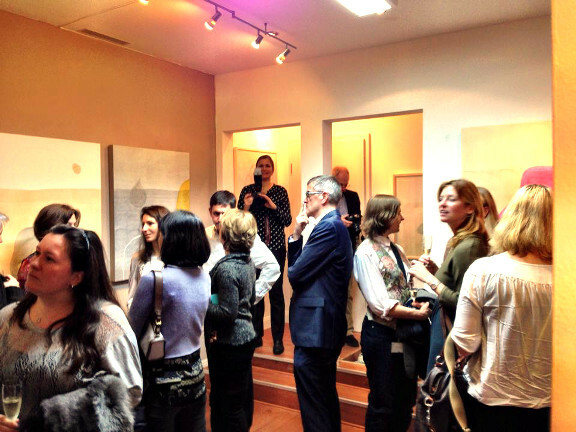 Work has already begun to sell, so if you're interested in a piece, don't miss out! You're welcome to stop by my studio for a preview (just call or email ahead and chances are, I'll be here). Local friends, I hope to see you at the opening! If you'd like a private tour of the work once the show is open, please let me know. I'd love to do so. In the meantime, check out an arts-centered blog by The Torpedo Factory that featured my response to the question: "Should I major in art or go to art school?" 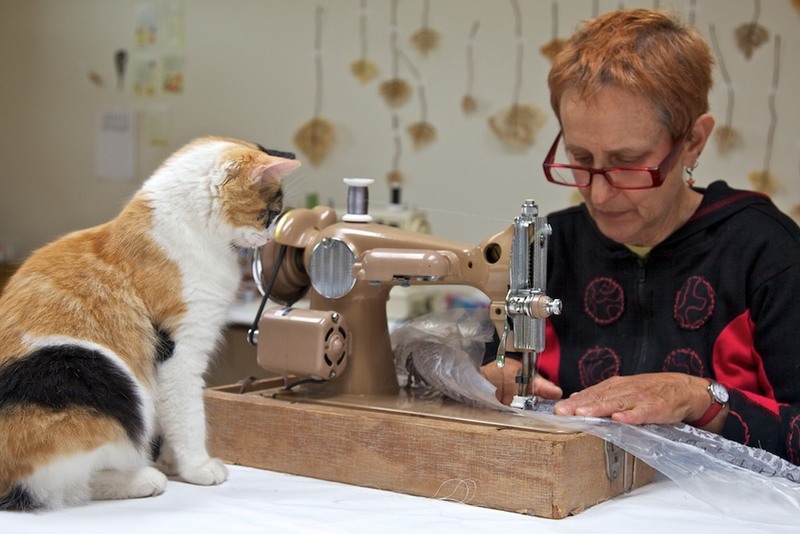 It's a great blog for diving deeper into the studio life and work of the artists at one of the largest juried art centers in the United States. Wishing you and yours a prosperous and happy 2014!